Visiting Thailand never fails to leave me feeling a bit headspun, but not in a bad way - its diversity is a bit much to take in. At times, the perplexing blend of Bangkok's modernization versus the natural beauty in the rural villages, national parks and forests seems to barely fit into this country between the size of California and Texas. The urban buzz and progressive excitement about trends and technology somehow lie within a stone’s throw of highly traditional indigenous peoples, still proudly farming small plots of land or working as artisanal fishers on the coasts and islands, continuing in their age-old ways. Similarly, there is a massive span in the breadth of travelers who come here: some for the bar, club and beach party scene, some to hole up in resorts for a week or two of all-inclusive week comfort and predictability, and others to get to know the place and its people. 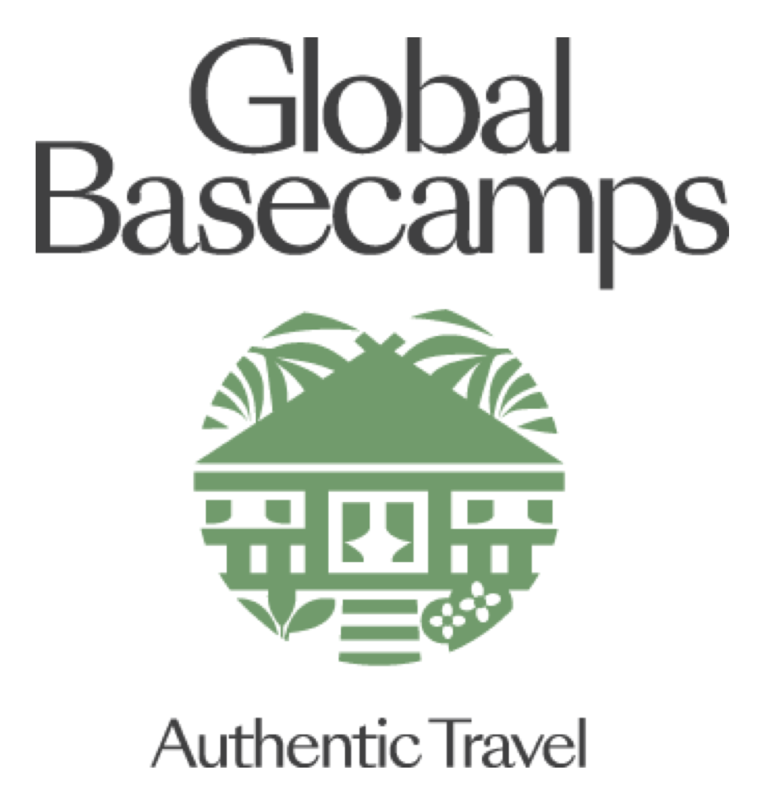 There is plenty of the former two that the tourism industry here caters to, but pursuing the latter will give you the kind of experience you’ll carry with you for life. Though I’ve made several trips to Thailand already, I’m already planning for more! Soon after landing at Suvarnabhumi International Airport, I realized something didn’t quite make it into my pack. I was headed to East Africa via Thailand on a trip exploring the intersection of sustainable rural development and sustainable tourism, two phenomena tightly linked in my fields of interest: making a difference, permaculture, and adventure. I realized I’d forgotten a kind of important piece of camera technology, but with the amenities available in Bangkok, I was pretty sure I’d be alright. I got more of a tour of the city, the most visited metropolis in the world, than I ever anticipated the next day as I tracked down a replacement; fortunately, Canon accessories are widely available, but as I learned, not quite “everywhere.” After eventual success, I got to survey the food scene of Chinatown (more on food later! ), and I met up with my friend Jenn - from New York but now fluent in Thai - who works with NGOs all around Southeast Asia and beyond for a special insider treat. 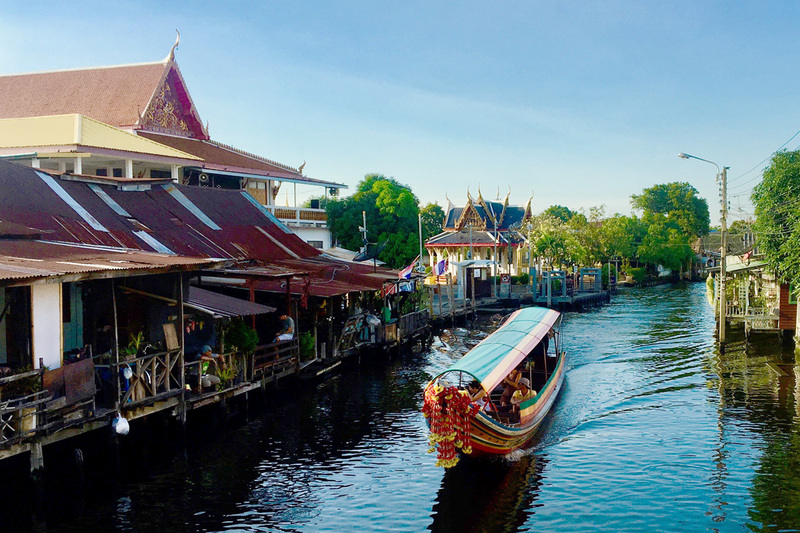 Located on one of the canals that connect to the main Chao Phraya River, the Khlong Bang Luang Artist House offers traditional puppet shows, a dwindling Thai folk art in this megacity of over 10 million people. A team of three puppeteers operates the hand, foot, and head movements perfectly in sync, and the young protagonist character, having gone through years of rigorous training, is literally sewn into his costume for the show. It was a fascinating performance, and the ambiance set by the wooden walkways hugging the canal, along with the variety of riverboats, was charm overload. A great day excursion from Bangkok is Khao Yai National Park (very affordable, as many Thailand tours are), with a pretty impressive waterfall and rich populations of wildlife. I met up with a group tour heading there and kept a sharp eye out for wildlife. 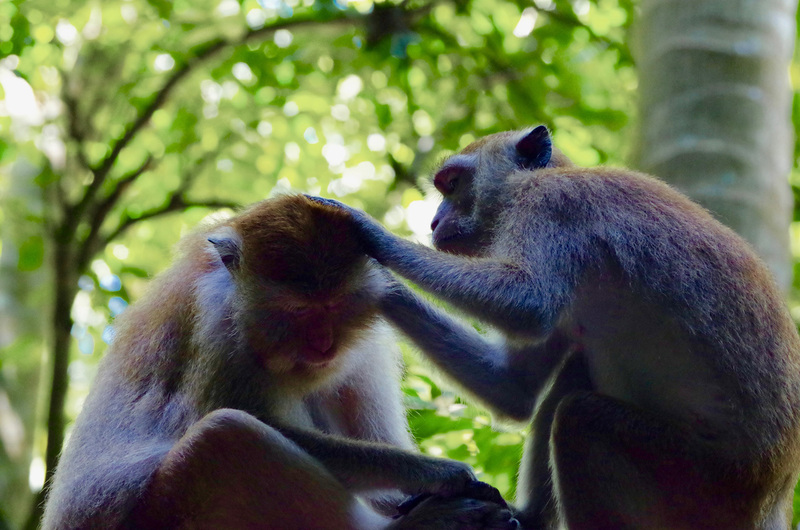 The tigers and sun bears were more elusive, but I loved seeing the sometimes frantic and other times tender macaque monkeys. As tempting as it is to buddy up with them for some banana feeding or selfies as they treat you like a human jungle gym, I did my best to advise our crew to keep their distance. It’s a similar deal here as at Bali’s Ubud Monkey Forest, where I’ve seen people be a bit too playful with them and end up getting nipped at. They’re just as charming from a distance! Heading north on a short flight to Chiang Mai, I was in good company among travelers of every stripe looking to tour the nearby national parks, volunteer at elephant sanctuaries, and take advantage of the multitude of activities for travelers that Chiang Mai is famed for. Chiang Mai has been named a Creative City by UNESCO for its “cultural and creative activities” that are “an integral part of the city's economic and social functioning”. I was keen on scoping the food and traditional culture scene in the city and province; rides around the city center on the three-wheeled tuk-tuks are fun and cheap, and there is no end to the temples, cultural sites, shopping and food from street vendors and restaurants to check out. 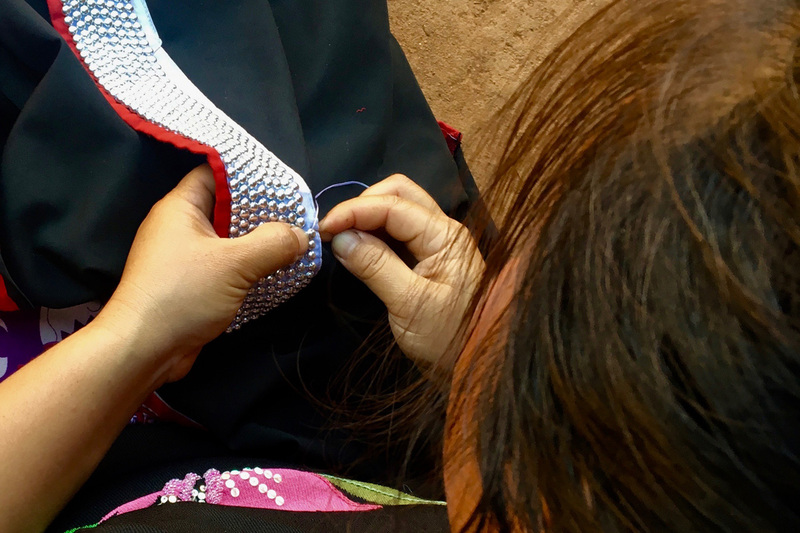 I loved learning about the indigenous Lisu and other “hill tribe” peoples and their individually unique dress at the Lisu Cultural Heritage Center, and the Talat Warorot market was an array of food, textile and other traditional crafts and souvenirs. 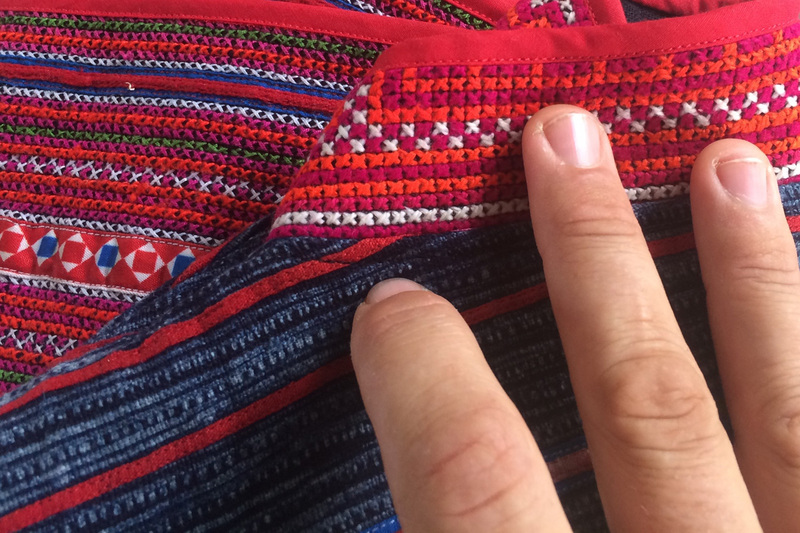 The hill tribes are more currently referred to as hill peoples/upland Thais, and their traditional clothing is so intricate as to look like it is sewn by machine. Rather, it is created by hand using generations of passed down skill. A garment may take three years to complete, and be handed down and worn for three generations, from grandparent to parent to grandchild. One thing I’ve got on my list for next time is a traditional cooking class offered by a Lanna/Northern Thai family in town. 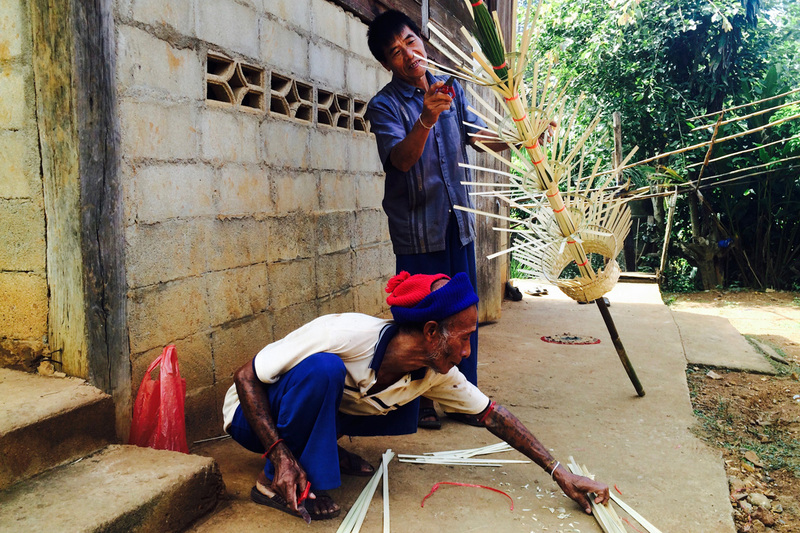 They use ingredients fresh from their orchard and garden, and teach other heritage craft skills as part of the class. 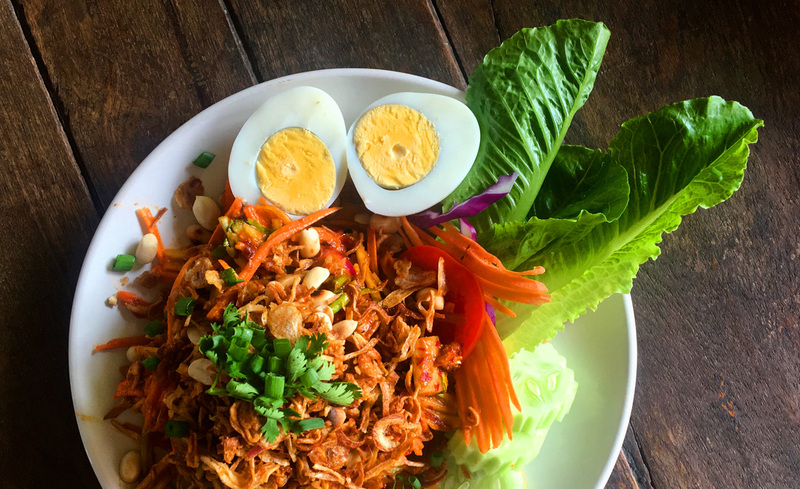 I’m a HUGE fan of Pun Pun Vegetarian Slow Food Restaurant, located in Chiang Mai City, and Pun Pun Organic Farm and Learning Center, a permaculture (a holistic agriculture-based land management system) center 90 minutes north of town. 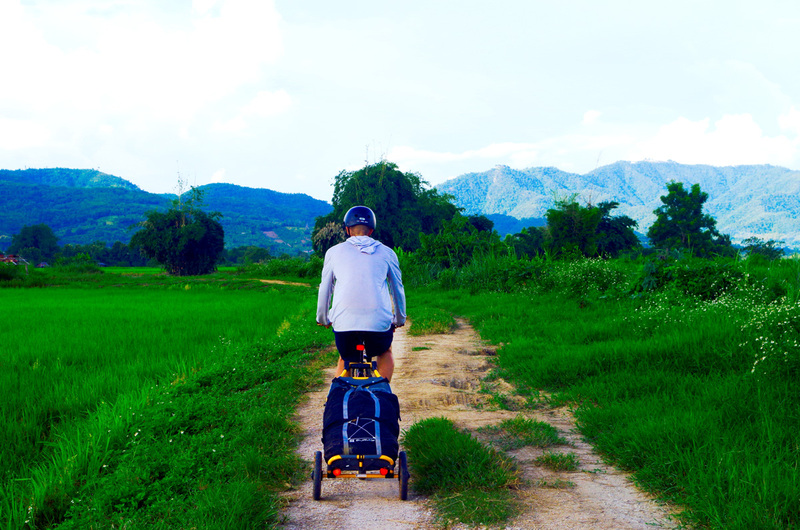 After a hospitable welcome and friendly exchanges during a visit with a Palong hill people village preparing for a festival, I did a quick but beautiful cycling trip through the gorgeous rice paddies up north of Chiang Mai. It wasn’t a long ride, but a beautiful one to the Mae Kok River in time for a dramatic sunset and a visit to the nearby Jain temple where the monks were finishing their daily routines. The great thing about cycling the rice country is that much of it is relatively flat and scenically breathtaking, an unbeatable combo. I always love visiting places of worship and religious heritage wherever I travel, and in this respect, Thailand does not disappoint. The Chiang Mai area and points north, just like Bangkok and the surrounding Lop Buri, and Ayutthaya, are replete with spellbinding temples that blend spirituality with incredible craftsmanship, creating place-based cultural treasures that are a crucial part of the Thailand experience. Next stop was Krabi via Phuket. I flew down and hopped the ferry that stopped at some islands over its eight-hour passage that offer valuable lessons about sustainable tourism. 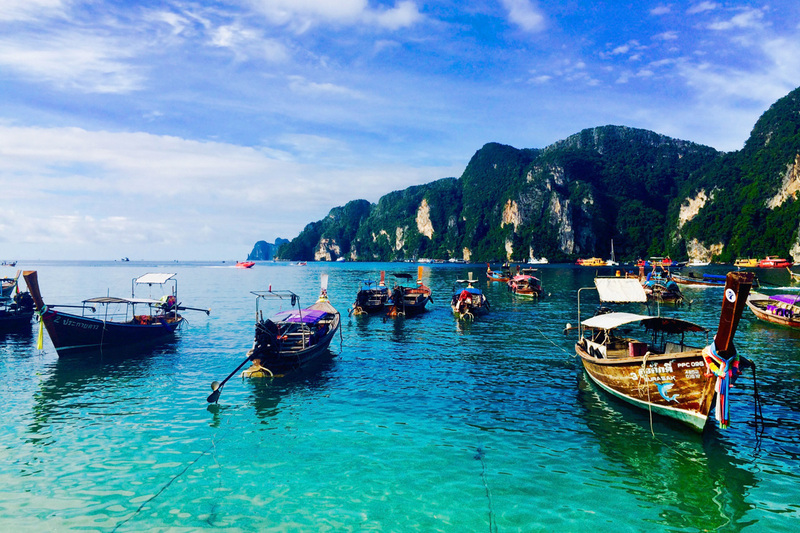 The Phi Phi Islands, including Koh Phi Phi Don, and the smaller Koh Phi Phi Leh, have both been impacted by “overtourism,” meaning tourism that has exceeded the “carrying capacity” of the destination’s (small islands, in this case) ability to host visitors. Tourism carrying capacity is defined by the World Tourism Organisation as “the maximum number of people that may visit a tourist destination at the same time, without causing destruction of the physical, economic, socio-cultural environment and an unacceptable decrease in the quality of visitors' satisfaction.” Maya Bay, made famous by the Leonardo DiCaprio dystopian backpacker flick “The Beach,” has been particularly affected by poorly regulated overuse, so much so that it has been closed to tourists so the reef and beach can recover. Fortunately, there are other beaches to be found on Koh Phi Phi Don, as well as in other island groups (check out Trat Province). Still, I was stoked to take in the scenery, from the ubiquitous longtail boats that cover the waterfront to the sunsets from its famous lookout - all were food for my soul. 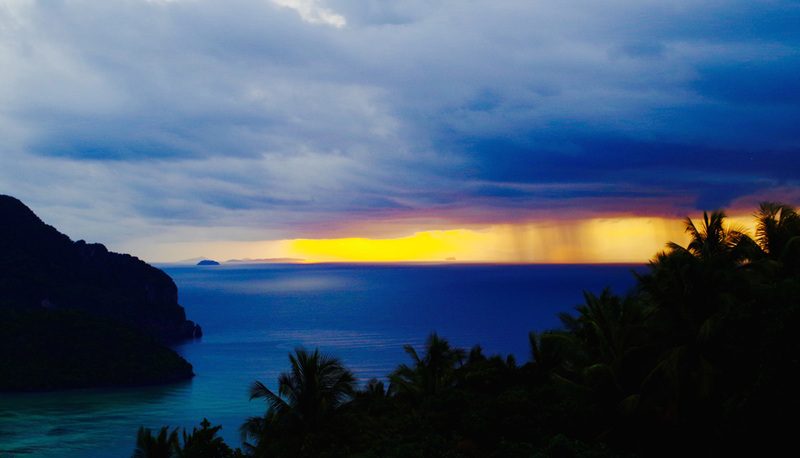 The rest of the ferry ride to Krabi was smooth, save for some minor but visually dramatic rain, as we shared the Andaman Sea with many other vessels. 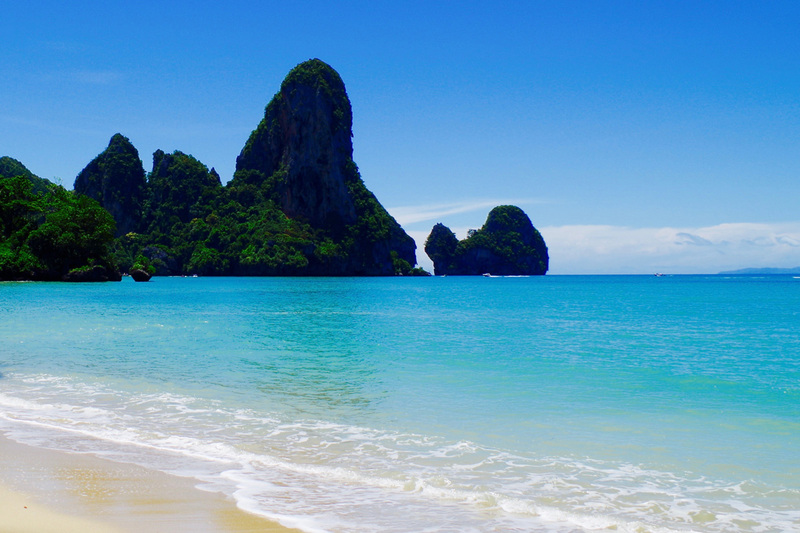 The beaches of Krabi south of Ao Nang, including Tonsai, Railey and others, offer epic snorkeling and every other water sport imaginable, rock climbing and tours of the local sights. I was in need of some ocean connection time, and perfectly content to just talk to the local fishermen and explore the stunningly beautiful coastline. 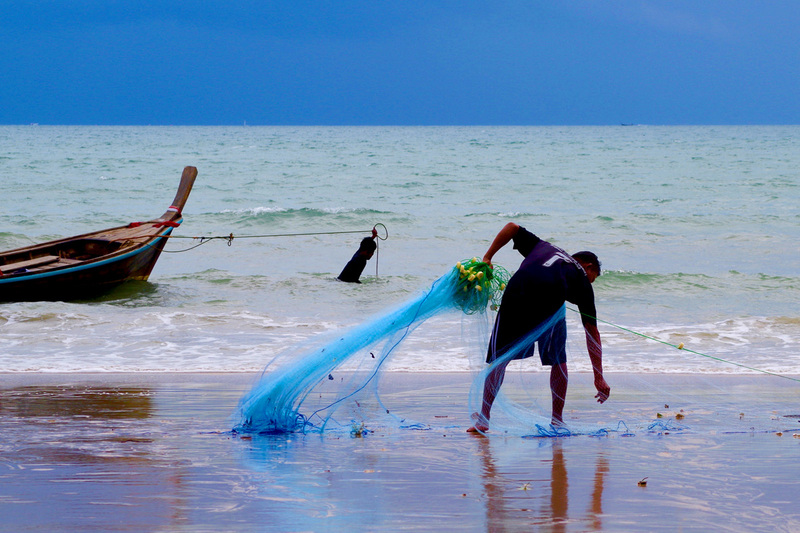 In some less traveled parts of the Krabi region, the indigenous Chao Leh sea nomads continue in their seafaring heritage, only recently settling on the land, and often by governmental decree as opposed to their own desires. Nomadic seafaring peoples have explored the seas while spending their entire lives on their boats, from birth to death, around Southeast Asia from Indonesia to the Philippines for thousands of years. After some quality ocean time, it was time to fly back to Bangkok and on to East Africa to continue my trip. Just like the people and place itself, my time in Thailand was diverse. As much as I got to do there, all I could think of was how hard it was to take so much in over so few days. Even now I’m working on how to get back to the mountains of the north, the islands of the south, and the warm people and culture that make Thailand what it is.